Awards matter. Not just because they look great in our trophy cases, but because they reflect the judgment of our peers and other industry experts. For example, our over 760 awards for new home design assure you that your David Weekley home will have universal and enduring appeal. And for us, it’s like getting more than 760 pats on the back for a job well done. As a privately-held company, David Weekley Homes is not burdened by irrational pressure to deliver short-term profits at any cost. During the depths of the 1980s recession, many home builders were folding. We sustained some short-term losses but kept our eye on the horizon and persevered. Within a few short years, David Weekley Homes emerged stronger and with an even greater market share. David Weekley Homes also had the opportunity to be featured on NBC's TODAY show “TODAY Builds A House.” This 12-week segment featured one of our Tampa homes where viewers selected the elevation, floorplan and options. Auction proceeds of the home went to Habitat for Humanity®. 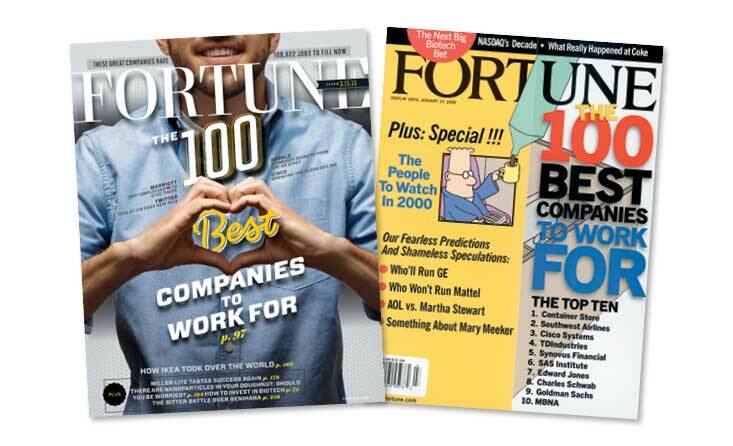 And, our Team Members think this is a great place to be, too… David Weekley Homes has been named to FORTUNE magazine’s “100 Best Companies to Work For®” list 12 times! Now that’s something to hang your hat on! 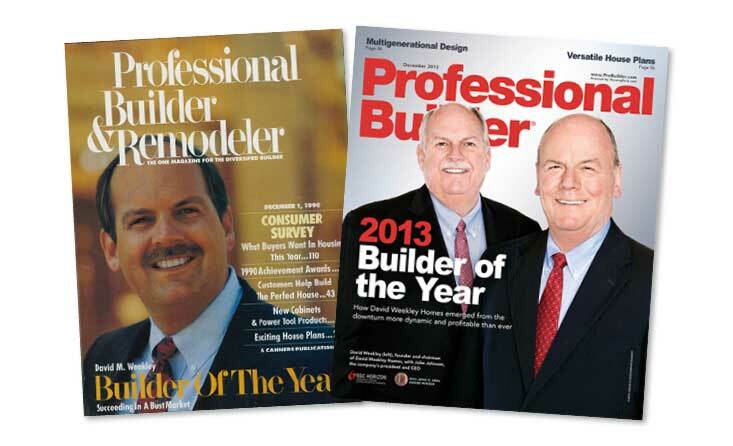 Professional Builder magazine, the home building industry’s leading business publication, has named David Weekley Homes its 2013 Builder of the Year. We are one of only two builders in the magazine’s 77-year history to receive this honor twice after first receiving it in 1990. 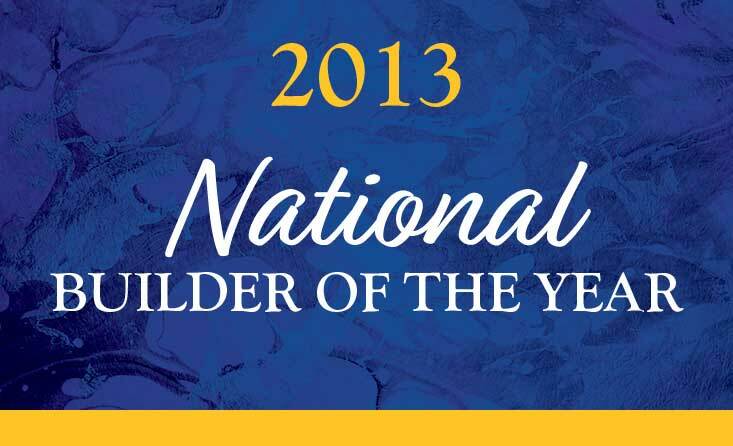 This esteemed honor recognizes innovative home builders whose ideas and business represent the best in home building. It is recognition like this that inspires us to continue Building Dreams, Enhancing Lives.